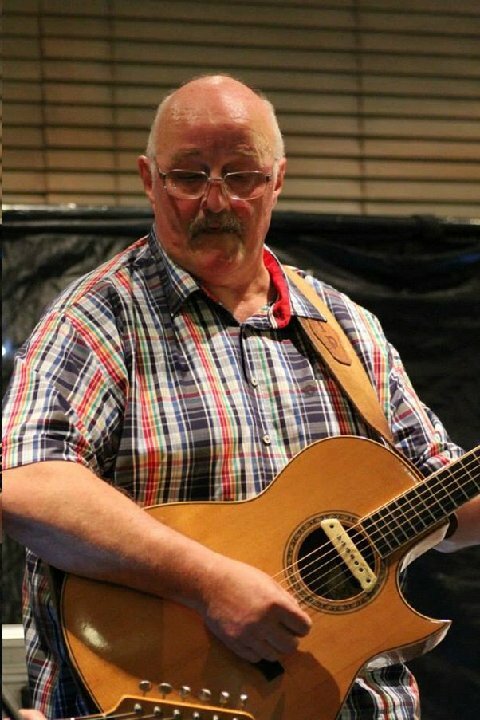 Ian Petrie first picked up a guitar in the 60's and quickly learnt the folk songs of the day. Before too long he started writing his own material and through the 70's became a regular at folk clubs in London and across the South East. During this time, he and a couple of friends formed Dolphin Smile and this helped to establish him as an accomplished performer, writer and singer. - a skill that is very much in demand with a number of other bands, as well as his own Big Ian Petrie Band. and once appeared, with Skinners Rats on ‘The Big Breakfast’ TV show. Ian’s current repertoire comprises his own songs, as well as many songs he has grown to love, and veer wildly between tragedy and comedy. by post (email Ian on ianpetrie@aol.com with your postal address) or can be downloaded via 'bandcamp'.